In honor of Valentine’s Day and my quickly approaching 10 year wedding anniversary (yikes! 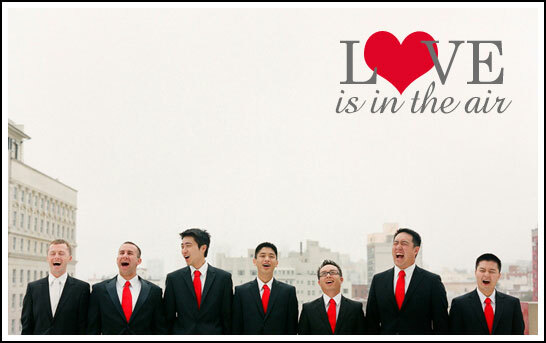 ), we’re celebrating love all week long. Yesterday, we kicked off LOVE Week with a fabulous LOVE that Dress Giveaway from Shabby Apple. And today we continue on with a real wedding that I’ve been just dying to feature! When I saw today’s Real Wedding, I was instantly smitten. It’s so modern, fresh and just plain fun. And it is definitely in the spirit of LOVE Week! This modern love affair comes to us from Tanja Lippert. It is always a pleasure to feature Tanja’s stunning photography. We’ve featured her work several times in the past and it never disappoints. She truly captured the heart and soul of this wedding… it was obviously a day full of love and joy! Certain events just stand out in a crowd, and this one definitely does. 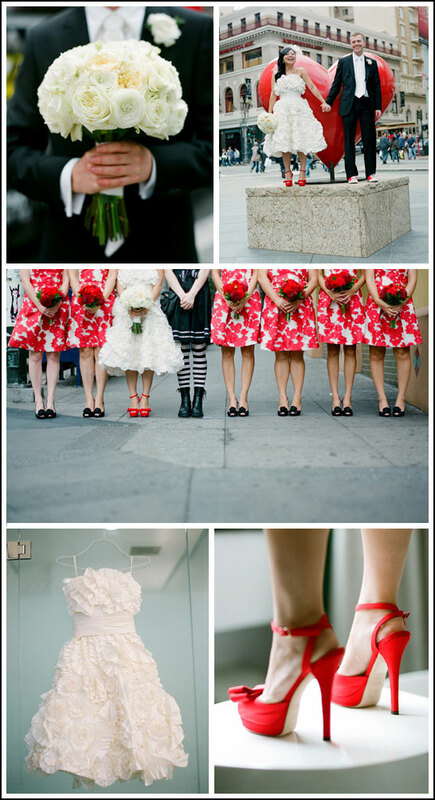 I love the modern dresses – from the printed bridesmaid’s dresses to the bride’s short ruffled gown paired with those sassy red heels. 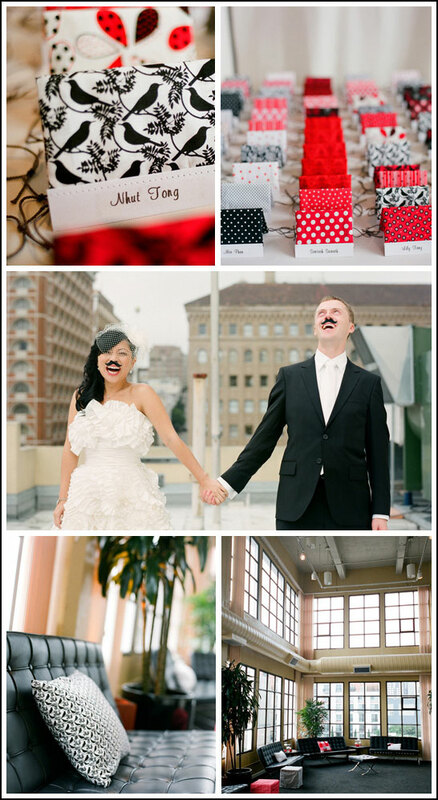 The black, red and white color combination is so crisp and perfect for a February wedding. Not only is this wedding gorgeous but it included a knock-out wedding cake that is worthy of its very own post later in the week! Look for it on Friday!! A special thank you to Tanja Lippert for sharing her lovely photography with us once again. You can see more of Tanja’s incredible work on her website and blog. Remember, LOVE Week is just getting started! Be sure to enter to our LOVE that Dress Giveaway from Shabby Apple if you haven’t already!! « White Chocolate & Strawberries! I LOVE this as well! Such a fun wedding! Such a unique wedding! I love the pic with the bridemaids and the girl in the striped leggings! Very nice shot. I like the one the one that emphasizes the red tie. Very nice. This is so beautiful…the red, white and black are perfect. I adore the bride’s dress!!! That dress is too darn cute! I love the headpiece too! I love weddings with personality!